Jackie Chan apologized to the public Wednesday over his son’s detention on drug charges in Beijing, saying he’s ashamed and saddened. The Hong Kong film star wrote on his microblog that Jaycee Chan would have to face the consequences of his actions, but that they would do so together. public figure, I’m very ashamed. As a father, I’m heartbroken,” Chan wrote. 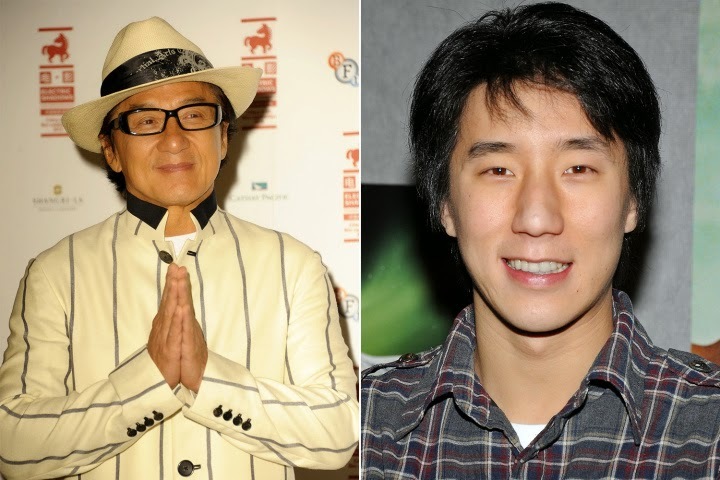 Jaycee Chan, 31, and Taiwanese movie star Kai Ko, 23, were detained last Thursday, becoming the latest high-profile celebrities to be ensnared in one of China’s biggest anti-drug crackdowns in two decades. and that 100 grams (3.53 ounces) of it were taken from Chan’s home. Local media reported that the elder Chan and Ko’s father traveled to Beijing to meet with their sons this week. The reports could not be immediately confirmed. “I hope all young people will learn a lesson from Jaycee and stay far from the harm of drugs,” Chan wrote. raised in Los Angeles and has appeared in some 20 films, most of them low-budget Hong Kong and Chinese productions. Also a singer and multi-instrumentalist, he has yet to enjoy anything like the global superstardom attained by his father. Most recently, the younger Chan had been had been working with famed Chinese director Chen Kaige on “The Monk” due for release next summer. It earned him a Best New Performer award at the Golden Horse film awards in Taiwan, considered the most prestigious in Chinese-language cinema. 3.0,” which appealed to young female audiences and knocked “Transformers 4″ from the No. 1 spot in the mainland’s box office last month. questioned Chan’s and Ko’s continuing value as commercial endorsees. Such deals can be highly lucrative, but businesses in China demand their brand ambassadors maintain squeaky-clean images. Jaycee Chan is accused of aiding and abetting other drug users, an offense that carries a maximum sentence of three years’ imprisonment. Ko is accused of using drugs, a much less serious accusation, but the potential penalty wasn’t immediately clear. Chinese President Xi Jinping declared in June that illegal drugs should be wiped out and that offenders should be severely punished. And Beijing performing arts associations and theater companies have pledged to not hire any actors connected with drugs.